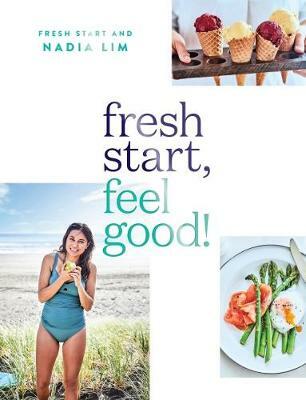 Following on from the phenomenal success of Nadia Lim's first Fresh Start cookbook and My Food Bag's Fresh Start weight loss bag, comes Fresh Start, Feel Good! - a no-fuss approach to losing weight, keeping it off and, most importantly, feeling your best. All recipes are under 450 calories, with a focus on packing in more vegetables and nourishing ingredients and are also lower in carbs and free of refined sugar. Recipes range from breakfasts, salads, soups, easy lunchboxes using leftovers, fast dinners (under 30 minutes), comfort food and takeaway favourites, smoothies, snacks, sides and sweet treats, and are suitable for the whole family and even entertaining. Have your cake and eat it too, with the likes of Fluffy Ricotta Pancakes, Butter Chicken Soup, Salmon and Kumara Nicoise, Chicken, Mango and Feta Pizza, Passionfruit Cheesecake Slice and Real Fruit Ice Creams. All with a lighter, healthier twist and more goodness packed in!